To a fine and rare English Adams' neoclassic revival Torchier. The top with raised edge is surrounded with egg and dart moulding. Below are three rams heads, which center composition ornamented legs, ending in cloven hooves. The top section has a pendant and the legs at the bottom are connected with a solid shelf or stretcher. 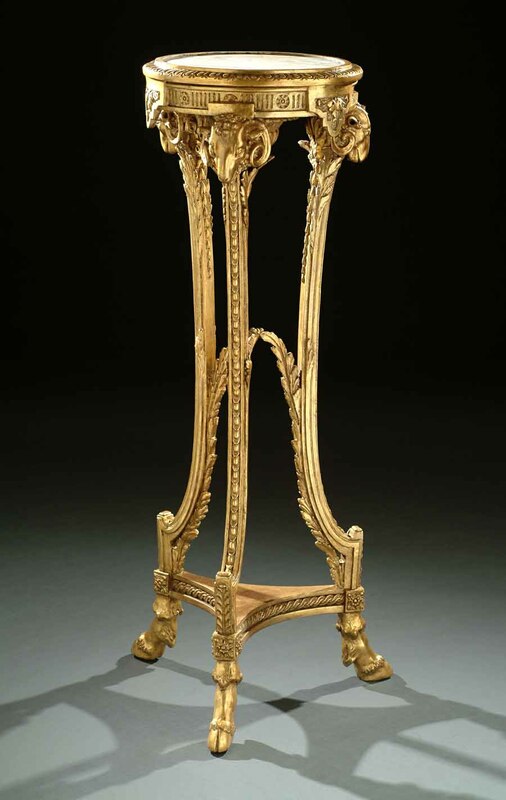 The piece has had some restoration to the ornament and gilt.